Regardless of our best intentions, some of us still manage to incur expenses that could have been avoided with a little more due diligence. Therefore, understanding why we can fall into a financial slump can keep us from becoming prey to the causes of debt and help us maintain a debt-free lifestyle. Do not have enough knowledge with respect to credit or financial concerns. Create A Budget. Dave Ramsey is famous for saying that every single dollar that you earn should have a “name” or a line in the budget each and every month. You should know where every one of your dollar bills is going in written monthly budget. Be A Better Shopper. Make prudent decisions when you shop. For example, when you are thinking about buying an item, such as a computer, you may want to consider choosing the less expensive brand if it has the same basic features as a more expensive model. Use the money you save and put it into the bank. Have An Umbrella. Save money so you have the funds for any unanticipated expenditures. You should make it a goal to stash, at the minimum, three months of expenses away into an emergency fund. Pay Off Your Credit Cards Monthly. My wife and I use our American Express charge card to pay for almost all of our monthly expenses, and then we pay the balance off every month…no exceptions! We use this method as a budgeting tool and to keep our spending in check. We never right checks anymore and hardly carry any cash. Understand The Fine Print. Learn all you can about any loan you take out, especially the amount of interest assigned to the loan and any penalties assessed for early payment or late fees. When it comes to debt, people seem to get into the most trouble when they acquire credit cards or take out a loan. Therefore, it is essential to know what your financial responsibilities will be if you’re considering taking out a loan or making an application for any kind of credit. You typically must pay compound interest on a loan or credit amount. Therefore, keep in mind that interest is not only charged on the monthly amount but also on the outstanding balance as well. As a result, you can quickly assume more debt than you can handle if you let your payments slide in any way. The ultimate goal of our financial lives is to eventually earn interest from investments instead of paying interest on loans to someone else. 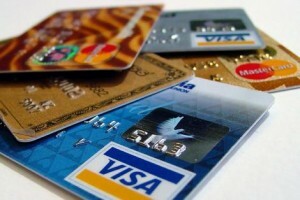 A credit card can be a privilege, but it can also be viewed as something to avoid entirely. Just think – each time that you use that card means you are possibly paying a financial institution about 18% or more annually on everything you buy. Do you really want to pay, say, 18% interest on a bag of chips or a cup of coffee? Obtain as much knowledge as you can by reading blogs such as Own The Dollar, others like it, and other websites related to personal finance and financial management. It is your money. Part of the privilege of working is making your money work for you, and not someone else. Own your dollar…don’t let your dollars own you! Budget helps to determine current and to some extent future financial position. planning should be in way where all the factors have to be taken in to consideration. You never know what emergencies can creep up any time. Striking a proper balance between spending’s and income is very important. The points mentioned are actually the reason behind heavy debt. You need to have a control on your expenses and a tracking mechanism behind it to reduce the incidence of debt and attain good financial health. You have mentioned real reasons for debt. We need to control our expenditure and must try to save something from our income in order to meet any unanticipated mis happening. Trend of saving is very common in developing countries like India that’s why India was least affected country by recession.